Showy, white, highly aromatic flowers develop before the leaves, and before most other deciduous species have leafed out in our area. 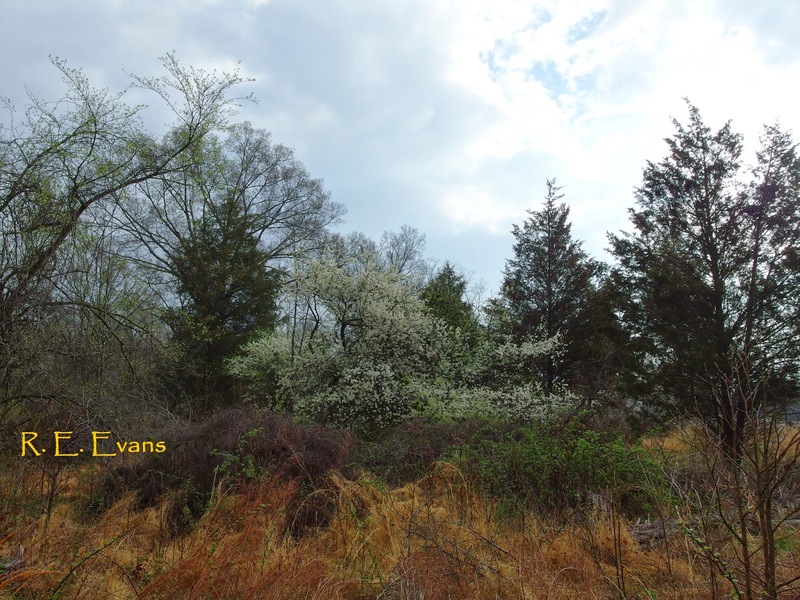 Note the sparse vegetation underneath vs.
American Plum is infamous for forming dense thickets in certain open habitats. These thickets are due, in part, to its propensity to root sprout. 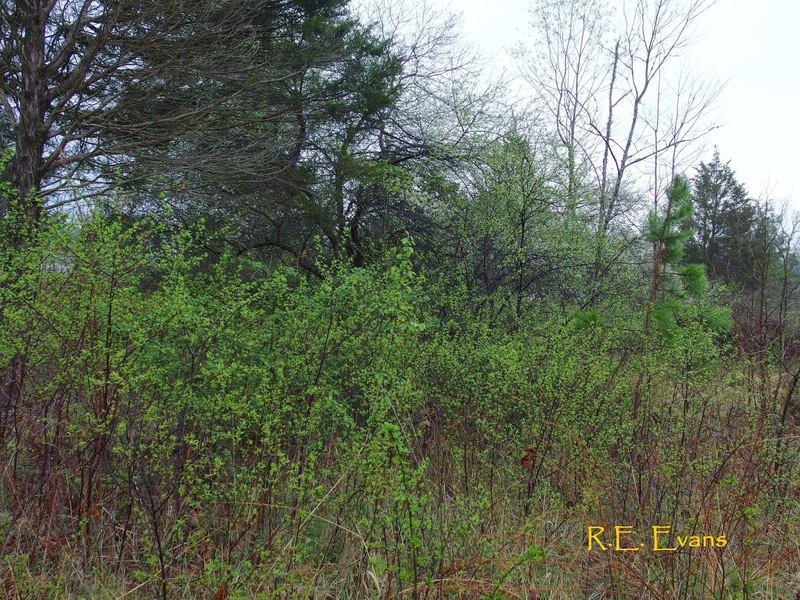 In the example shown here, sprouts are 3-5' tall and leafed out more fully than nearby mature trees, but no flowers were produced. 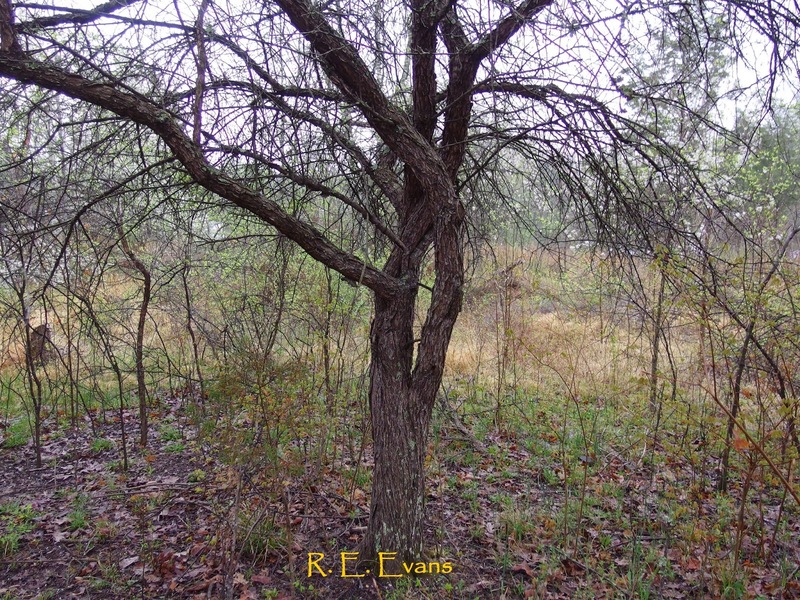 Most have developed 10' or more from the main trunk and appear to be "invading" the open area, with the shortest sprouts along the leading edge. The origin of these sprouts appear to be large Prunus americana individuals with well developed, widely spreading, and drooping branches, above twisted,multi-trunked stems. 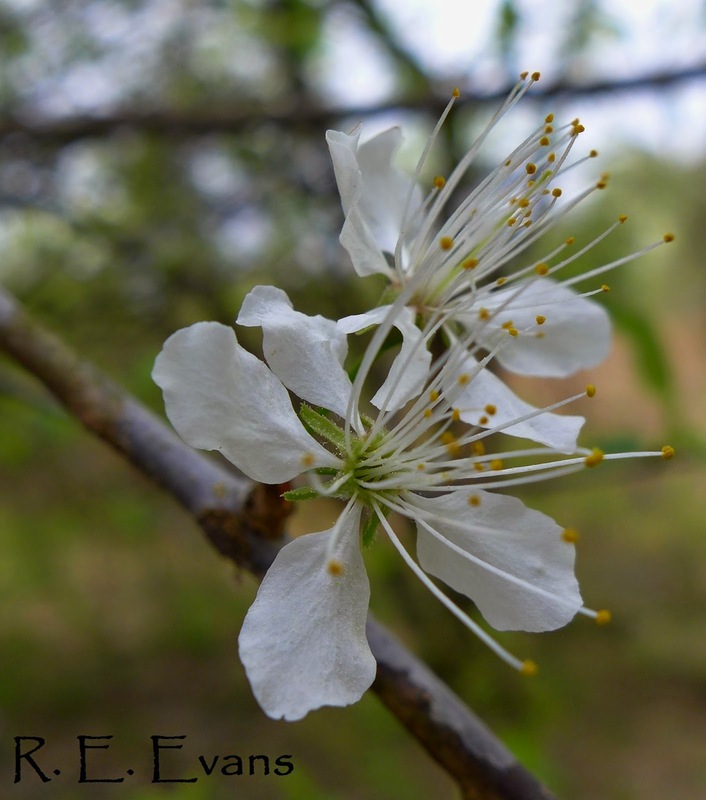 These small trees (see images following) produce significant masses of flowers. 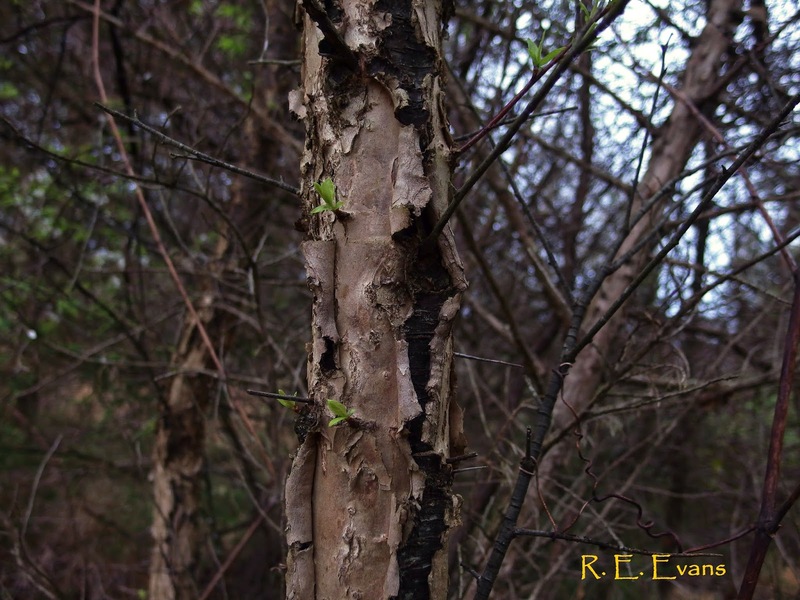 Interestingly, the space around the trunk(s) is clear of sprouts and other woody plants, possibly due to the density of the canopy or the species may be allelopathic. The following sequence illustrates progressive stem development.